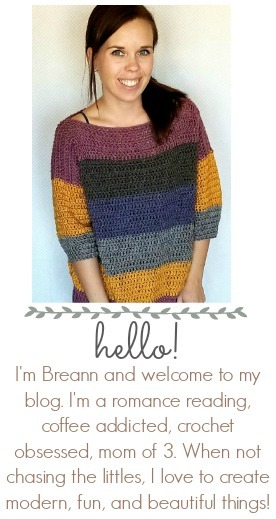 Who’s ready to start crocheting scarves, shawls, and blankets? *raises hand* But until then, there are still lots of fun things you can make in the warmer months. 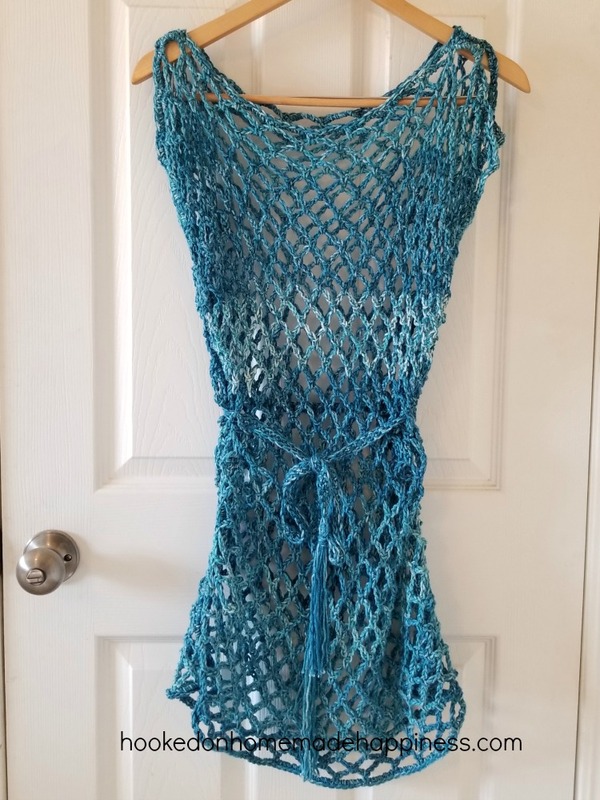 Grab some cotton yarn and make an adorable and comfy swimsuit cover. Finished product measures approximately 30 inches long and 44 inches around. This can be adjusted by changing your starting chain (must be a multiple of 4 + 1) and the length. Place both panels together, wrong side up. 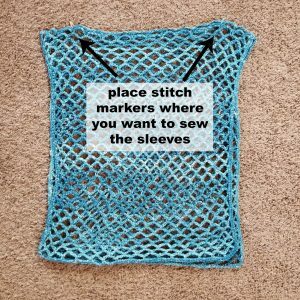 Using stitch markers mark where you want to sew the sleeves. I placed mine in the 4th arch from the outside on each side (I tried this on before I sewed it closed). Sew each side together using a sc across 4 –5 stitches, leaving a slit over the shoulder. Fasten off, weave in the ends. Sew each side closed with a sc from row 1 to row 26 (if you want the armhole a different size, adjust as needed) Fasten off, weave in the ends. Ch 151, sc in 2nd ch from the hook and across to the last ch, in last ch work (2 sc, ch 2, 2 sc), turn to the other side of the ch, sc across, in last ch work (2 sc, ch 2, sc) join to first sc with a sl st.
Cut 14 12 inch pieces of yarn, add 7 to each ch 2 space on each end. Trim to your liking. Thanks for the great pattern, am making it in pink.